Personal Trainers and Nutrition Coaches! ​​Mobile devices may need WiFi connection to view the video. ​Show Me ​The One Thing! ​​​The Problem: ​ There are more health and fitness businesses than ever and ​many are failing and closing their doors every day. In an over-saturated market, many good trainers are struggling to get people in the doors because there is nothing that quickly distinguishes them from others doing the same thing. ​It's difficult enough to get a client, it's even harder to get them to stick to it and get results. Most people think it is too hard and fail. They fail because they aren't doing what works for them. Stiff competition for clients compounded by a high dropout rate makes keeping the doors open less likely than ever. The truth is most people fail at traditional nutrition and fitness programs. 98% of those that are initially successful ​FAIL to maintain those results. ​Show Me Why, Right Now! The Reason: They fail because the​ir program ​is flawed from the start! We are searching out a specific personality and skill set. We are looking for the few that strive to be great personal trainers who also want to be contemporary nutritionists familiar with the latest research. These few want to be recognized as the best by achieving better results for their clients than anyone else. They want to really make an impact on the health and fitness of those they touch. They want the best results for their clients, not only for their clients sake but, because if you get results, people will notice. Their clients will notice, their friends will notice and want to hire ​them. Other fitness professionals will ​want to be like these select few. Education is definitely a plus, but ​degrees are less important. What’s more important is the value placed on continually learning, including unlearning old information proven to be wrong. What’s important is that ​YOU are career minded with a passion to help people be the best they can be. ​ YOU have no plan B. ​YOU have to make the best of being a fitness professional because YOU can’t imagine doing anything else. We are seeking people who realize that nutrition and fitness coaching is one of the most competitive industries where everyone thinks they are a health expert and there are more gimmicks and fads out there than authentic programs. ​YOU need to understand that even the most popular traditional health and fitness programs have very little success. We are seeking professionals who are fast to adapt to new research and able to discern fact from fiction. ​YOU need to realize that just because everyone is doing it and have been doing it for years, doesn’t make it the right thing to continue to do. Health and fitness is changing. Experience is great but, in this field, methods can quickly become antiquated. Therefore, we need people who aren’t afraid to contradict the accepted standard of care and embrace science that goes against consensus. That means specifically embracing the low carb high fat lifestyle. Learn How: ​Pre-qualify to receive this ​valuable information that tells you exactly how and why. ​Show me: How and Why, right now! ​Do you want to secure the best chances for a successful career? ​Do you want to ​quickly distinguish yourself as a great personal trainer, able to charge more for your services because you are in demand? ​​Do you want to be recognized as the best by achieving better results for your clients than anyone else? ​​Do you want to really make an impact on the health and fitness of those you touch? You have to start from the start and that's what we do, clarifying the fundamentals in personal training and nutrition coaching. We put the personal back into personal training with the scientific basis turned into practical application with evaluation, program development and result building retention tools. It starts with your personal instructor and coach guiding you through the process. Our 4 week intensive Personal Training Certification Course is separated into Resistance Training, Fitness Evaluation and Health Advocate modules. Then, during the 5th to 8th week, our distance learning course switches to our Primary Sports Nutrition License, giving you the tools to cross the dietary obstacles and barriers that have been holding your clients back. Learn to determine exact food plans that integrate with exercise , activity and lifestyle. Learn how to work with food intolerances, allergies and medical conditions that limit food choices. 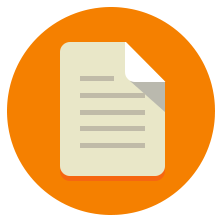 ​​You've mastered the course material you've just learned through written and practical exams Your instructors will help you at this incredible live event. 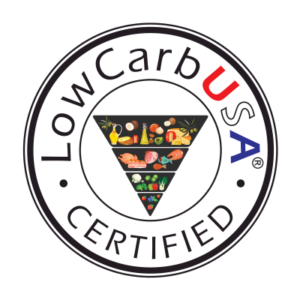 Learn from the leading experts in the world speaking at the ​ Low Carb USA Conference. Why S.Ma.R.T. and natural eating ​provide a potent behavior combination driving a productive health and fitness plan that ​reinforces the generation of more clients, when you need them, through 2 certification and licensing course completion. Step-by-step strategies you can implement in your life and your clientele for ​significant, rapid and ongoing results - ba​sed on 5 decades of case studies and indisputable scientific evidence. ​Completing this education week successfully ​establishes you as NASN Certified Personal Trainers and NASN Licensed Primary Sports Nutritionists! Plus, free bonuses: ​you get access to the Low Carb USA Conference including a gourmet nutritious dinner package including sugar free wine each night of the conference with special speakers each evening. Thursday and Saturday will be on the Loma Vista Terrace at the hotel and Friday night will be on the upper deck of the magnificent Steamship Berkeley. The remaining decks of the Berkeley serve as a base of the San Diego Maritime Museum and you can wander out onto the bow deck after dinner, meet the speakers and watch a spectacular sunset over the bay. 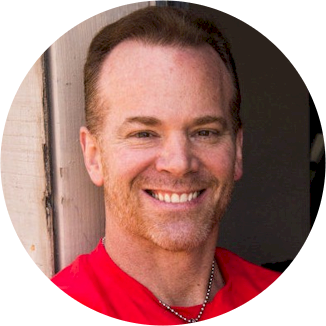 ​​​Jeff Kotterman is the founder of the TriSystem Health Network and the Director of the National Association of Sports Nutrition. 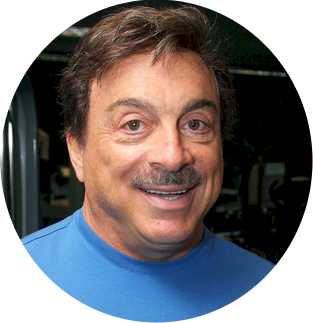 He specializes in breaking health, performance and fitness plateaus since 1986. ​We structure a real life learning environment where you can apply what you've learned working within an established medically supervised center and work towards building your own private practice, modeling what you've learned for success and positioning yourself and your business for sustainability, salability and growth. with continuous monthly meetings, strategy sessions and ongoing education. ​See ​WHY you aren't getting enough clients through the door ​and WHY the clients you do have ​aren't responding to the advice and programs you are providing! ​Show Me the reason Why! Enter your ​contact info to reserve your seat ​for the NASN Comprehensive Education ​Course Content. ​This ​course has a very ​limited student capacity per instructor. You must be pre-qualified by phone to register. Once all seats are filled, registration will be closed. To see if you qualify, complete the form below.